J.R. Handley has read 15 of 75 books. J.R. Handley read 62 books of his goal of 60! J.R. Handley read 42 books of his goal of 40! J. R. Handley is a pseudonym for a husband and wife writing team. He is a veteran infantry sergeant with the 101st Airborne Division and the 28th Infantry Division. She is the kind of crazy that interprets his insanity into cogent English. He writes the sci-fi while she proofreads it. The sergeant is a two-time combat veteran of the late unpleasantness in Mesopotamia where he was wounded. He started writing military science fiction as part of a therapy program suggested by his doctor to help with his brain injury. He found out he was actually pretty good at telling stories and hopes to entertain you as he attempts to excise his demons through these creative endeavors. In addition to being just another dysfunctional veteran, he is a stay at J. R. Handley is a pseudonym for a husband and wife writing team. He is a veteran infantry sergeant with the 101st Airborne Division and the 28th Infantry Division. She is the kind of crazy that interprets his insanity into cogent English. He writes the sci-fi while she proofreads it. The sergeant is a two-time combat veteran of the late unpleasantness in Mesopotamia where he was wounded. He started writing military science fiction as part of a therapy program suggested by his doctor to help with his brain injury. He found out he was actually pretty good at telling stories and hopes to entertain you as he attempts to excise his demons through these creative endeavors. In addition to being just another dysfunctional veteran, he is a stay at home husband, avid reader and all around nerd. Luckily for him, his Queen joins him in his fandom nerdalitry. 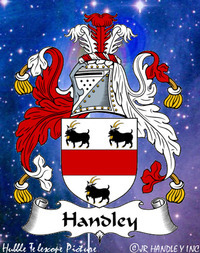 His website/blog is at www.jrhandley.com. To ask J.R. Handley questions, please sign up. What do you find is the biggest hurdle to your daily writing process? And how do you deal with it? We’d love your help. Let us know what’s wrong with this preview of Grendel Uprising by Scott Moon. We’d love your help. Let us know what’s wrong with this preview of Ground Pounder by Scott Moon. I read this story as a beta reader and loved it. I told her from the first chapter that she should make this a series, and maybe someday she'll listen! Until then, read it and check it out! J.R. Handley is 99% done with The Traveler: This is a placeholder for my review, but I loved it!